Tracks deals on the Steep and Cheap website. Is there a better alternative to ODAT Tracker? Is ODAT Tracker really the best app in Internet Utilities category? 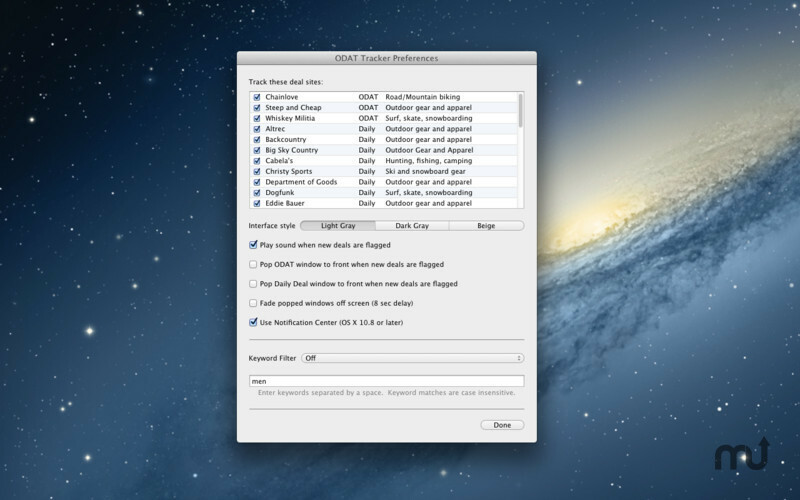 Will ODAT Tracker work good on macOS 10.13.4? ODAT Tracker (was MacSAC) is a small freeware application that tracks deals on the Steep and Cheap (SAC), Tram Dock, Chain Love, and Whiskey Militia websites from Backcountry.com. These websites offer killer deals on outdoor gear, ski gear, biking gear, and apparel all day long, one deal after the other, with discounts from 50-80%. ODAT Tracker needs a rating. Be the first to rate this app and get the discussion started! 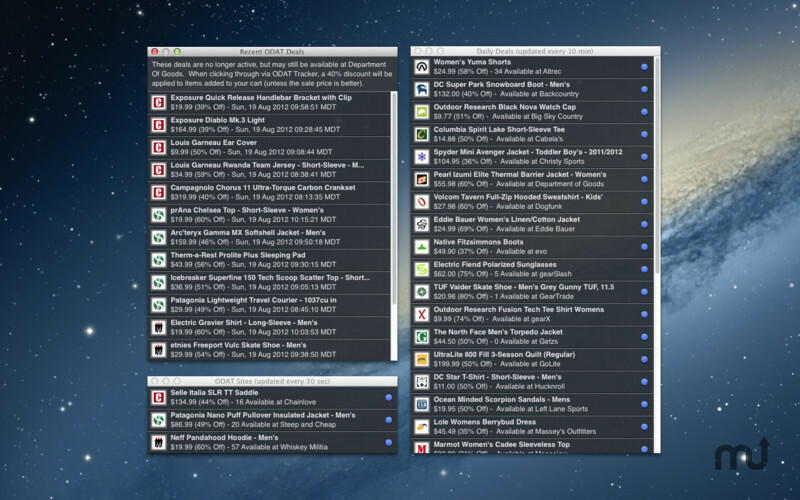 I tried out the various tools that track these sites and found them lacking for Mac users, so I decided to develop my own solution. 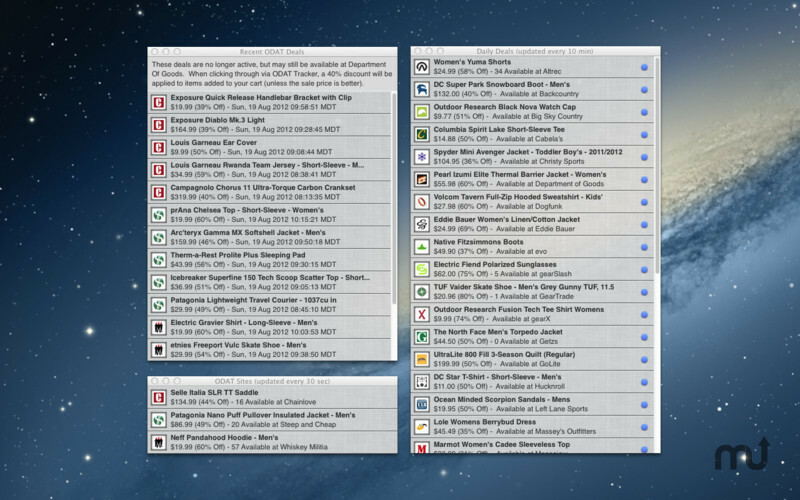 MacSAC is a universal app that runs on Mac OS X 10.4 and 10.5. It pops a small alert panel onscreen every time a new deal is announced. If you spot a killer deal, just click in the alert panel to quickly go to the website and check it out. In addition to tracking the current deals, MacSAC displays a history of recent deals and the "Deal of the Day" from BackcountryOutlet.com. BackcountryOutlet.com purchases made through MacSAC will benefit from a 40% discount applied when items are added to the shopping cart!